In this knitting class, I'll teach you the basics of hand knitting. Whether you're an absolute novice or you want to refresh some rusty skills, this beginner class will get you going! Four exciting and useful projects will build your knitting skills over time, adding new techniques along the way. You'll make a basic scarf, a stretchy ribbed scarf, a striped hat in the round, and a pair of basic mittens. You'll become familiar with the language of knitting patterns and gain the confidence to seek out new knitting projects on your own. If you've used the skills you've learned in this class to write a great instructable, try entering it in one of our contests, like the Fiber Arts Contest for a chance to win some amazing prizes! ​Becky Stern is a designer and content creator at Instructables. She has authored hundreds of tutorials about crafts and technology. She lives in New York City and enjoys riding her motorcycle, making YouTube videos, and collecting new hobbies. She's been knitting for almost 20 years and gets the itch to pick up some needles whenever the frost nips. Becky's knitted Laptop Compubody Sock sculpture went viral in 2008. Her work has been featured by VICE, the BBC, The Late Show with Stephen Colbert, Engadget, CNN, Business Insider, Forbes, and Science Friday. Learn to start your first project by creating stitches. Learn the fundamental technique of knitting and practice, practice, practice. Learn how to complete your first project by securing all the stitches. Hone your technique with more fundamental practice to create a more refined second project. Learn what to do when things aren't right. Learn some special language and techniques knitters use to communicate instructions. 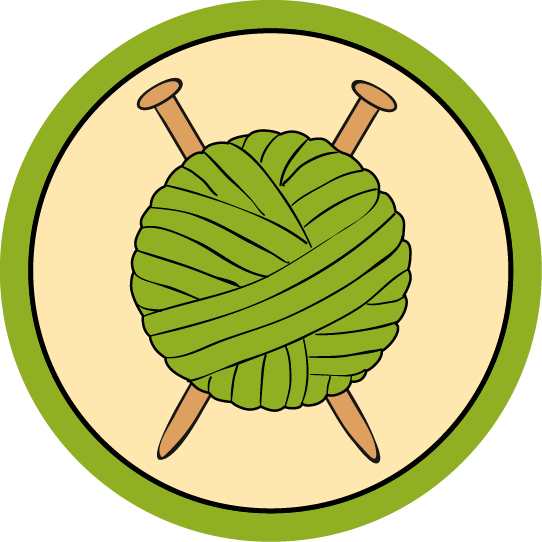 Look up terms, abbreviations, and optional tools in the world of knitting. You may wish to keep this lesson open while reading others! Start your first circular needle project! 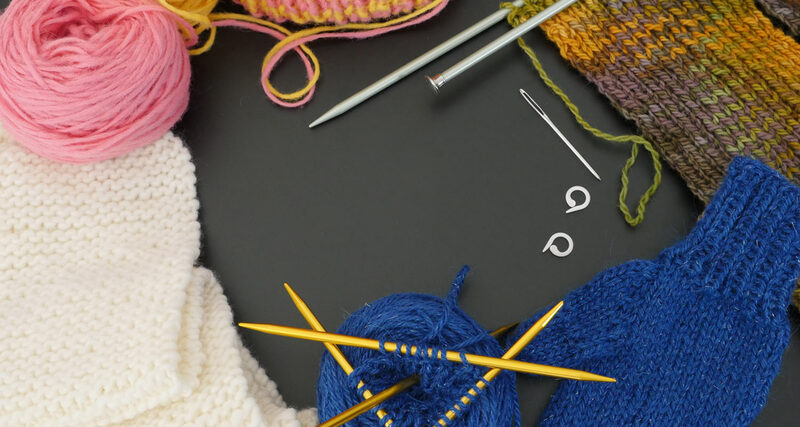 You'll learn how to start out a new project on double pointed needles and learn a new type of stitch decrease to shape the hand of your first mitten. The pattern is available in three sizes. Pick up stitches and knit a thumb, repeat for the other mitten, and show off your fresh mitts!